Today has been a mixed day of emotions. 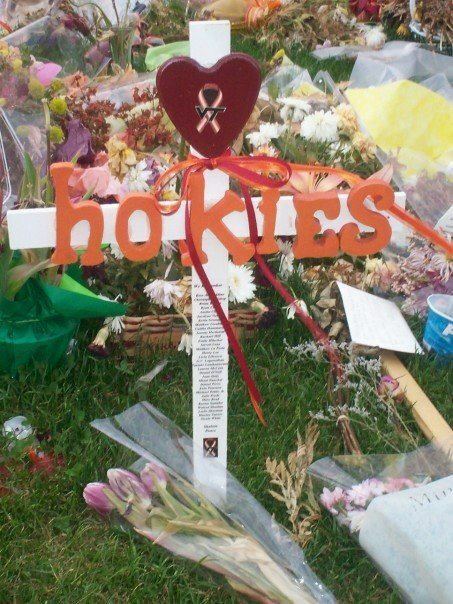 On one hand, it is the sixth anniversary of the massacre at Virginia Tech. I always have waves of emotion on and around this date. We are forever changed, we will neVer forgeT, and we continue to live for the 32 who can’t anymore. In addition, there’s the horrific events that took place yesterday at the Boston Marathon. I don’t understand why someone would do that anywhere, but especially at a place that is supposed to be about triumph and celebration. My heart is with the victims and all those affected by this senseless act. What a world we live in. One of the reasons I am a runner is because I can turn to running when things like this happen. I went for a run today in a blue race t-shirt in support of those affected at Boston and the entire running community. The human spirit shines brightest when faced with adversity. 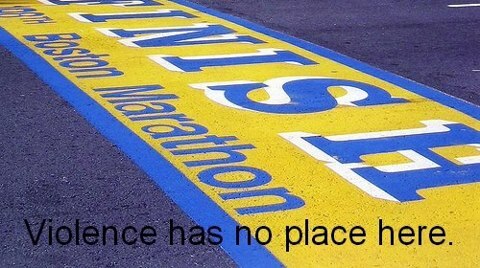 Runners are resilient and so is the running community. Do not let evil triumph. What a terribly sad day. And week. So many awful things have happened in the U.S. during April it seems. I saw a Facebook post listing all of them. We just have to keep calm and carry on. Now I want to go train for Boston, Just to show the b@5t@rd5 that did this they can not ruin my life! It definitely makes me want to qualify to run Boston even more than I did before. I hope justice is served. It was a tough day for sure. But it was really comforting to see everyone in a Tech tshirt today and the memorial was full of visitors and flowers. And I agree with your dad!! I remember being on campus in years past on April 16, and I remember how even though it’s a sad day it’s also a good feeling to see all of the people wearing their Tech apparel and seeing all of the flowers at the memorial. I was thinking today about all of those who chose to say “me” to His question “whom shall I send?” What a showing of strength and love by those who were running toward the mess to help those who needed it. The people who ran towards the blasts within seconds of the bombs going off to help are amazing and selfless. It was a very tough day… You Bible verse is so perfect for this week. Thanks. I felt like it was fitting. Emotional day for sure. I am glad the everyone has such a positive attitude about being strong and moving forward. 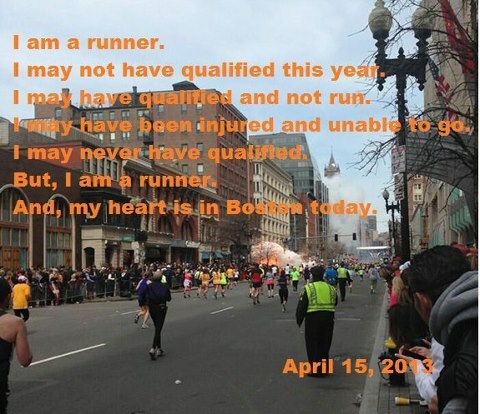 I think the running community is strong and resilient and will carry on.